A Breakout for the Jag, The CD can be ordered either from Nick Harlow (16/32 Systems, Great Britain) or from Matthias (Germany). It's a very good game ! A fun present for Christmas ! Yeah, sorry. I didn't install the page with ordering information as i haven't completed the negotation with a US-vendor by now. But the conditions will be similar to those for DoubleFeature#1, and if you look at the DF#1-page, it just says "for a purchase from Matthias directly: email him." (or send me a PM) anyways. Cartridge will be about 60 Euro, plus shipping. Just have put the page with ordering info for the Impulse X CD online. 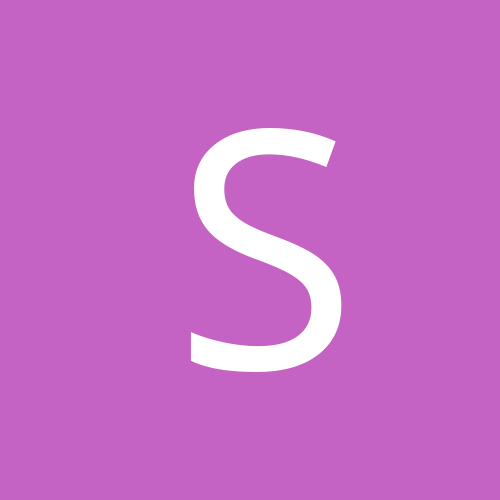 Please don't be shy, post your webcodes with your scores! The packaging is gorgeous ! I have to repair my jagcd to try this game as quick as possible ! Also great to hear who won one of the 2 copies i had sent towards Gdansk! i am sorry for the delay of the cartridge version of Impulse X, but i am happy to tell you that i have started assembling the PCBs for the cartridges. The release will happen during the Euro-Jagfest 2013. 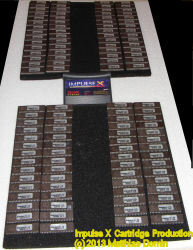 PS: Attached is a photo showing some of the Impulse X Eproms. 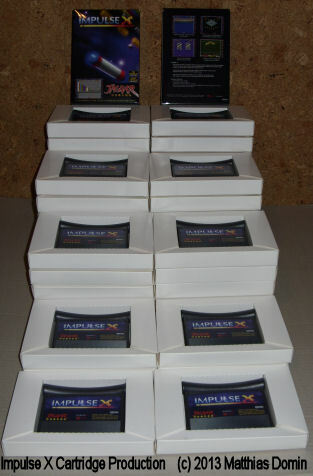 Today i have put labels on a first pile of Impulse X cartridges, see attached photo. Please tell me if you want to pick up the cartridge during Euro-Jagfest in Duisburg on next saturday, so i know how many copies i need to bring along. just a few days ago i have uploaded the webpage with ordering info for the cartridge version of Impulse X. The game can either be purchased from me (Germany), 16/32 sytems in the United Kingdom or Console5.com in USA. Meanwhile (after the official release last weekend during Euro-Jagfest) i have tried to get in contact with (almost) all of you who asked to get on my Excel-list to get the cartridge reserved. Please get in contact with me if you are still interested purchasing it from me or if you already have bought it from one of the said vendors. Thanks in advance! Although the game doesn't require it, some of you expressed their wish of having a joypad overlay for Impulse X, so i am now providing a link for downloading such graphics at the end of my Impulse X webpage. Thanks for the hint, i fixed the link.